From John Carpenter, the man who brought you the cult classic horror film Halloween and all of the scares beyond comes even more twisted tales of terror, tricks, and treats. 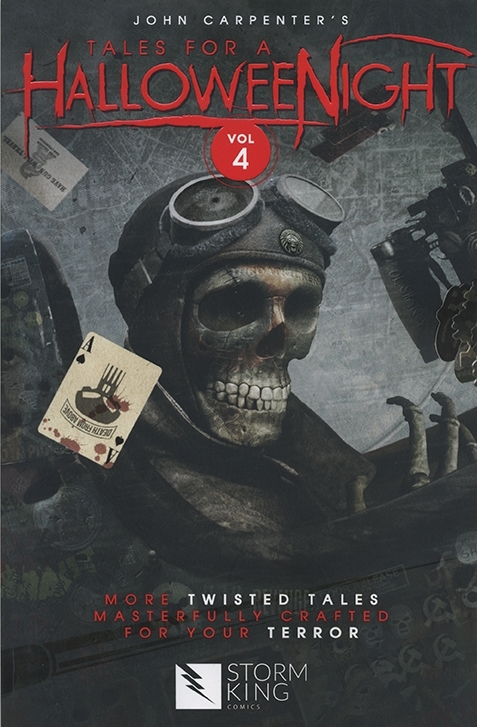 In volume 4 of the award-winning graphic novel series, Carpenter brings together another stellar ensemble of storytellers from the worlds of movies, novels and comics for another spine-tingling collection of stories that will haunt your dreams at night. John Carpenter, Sandy King, David J. Schow, Duane Swierczynski, Tim Bradstreet, Cat Staggs, Amanda Deibert, Jaime Carrillo, Elena Carrillo, Steve Niles, Nick Percival, Greg Scott, Felipe Sobreiro, Joe Harris, Megan Hutchison, Dennis Calero, Renae DeLiz, Ray Dillon, Frank Tieri, Jason Felix & Janice Chiang.